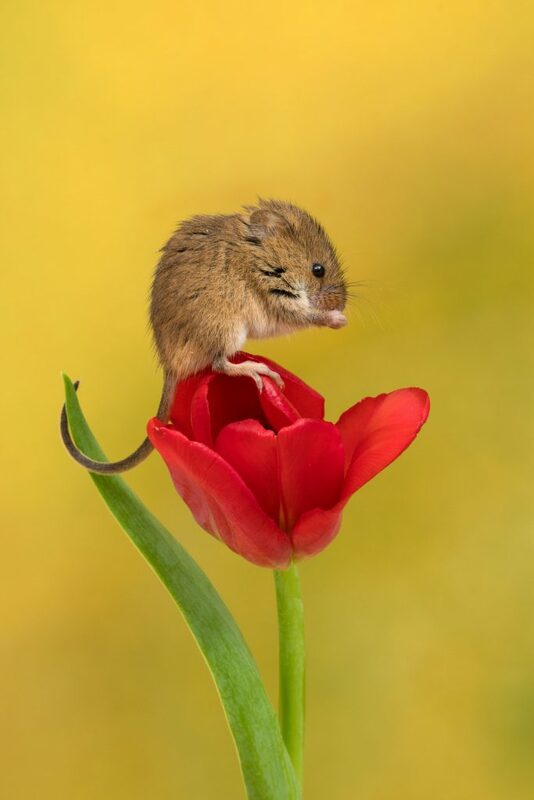 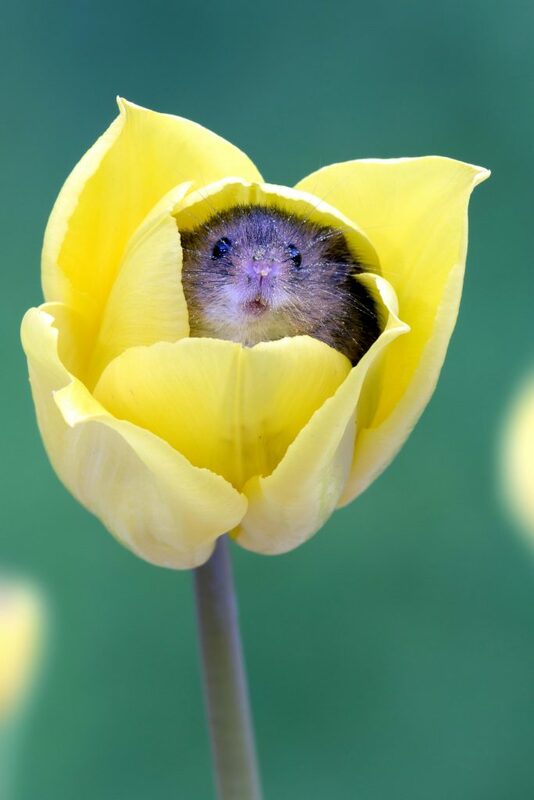 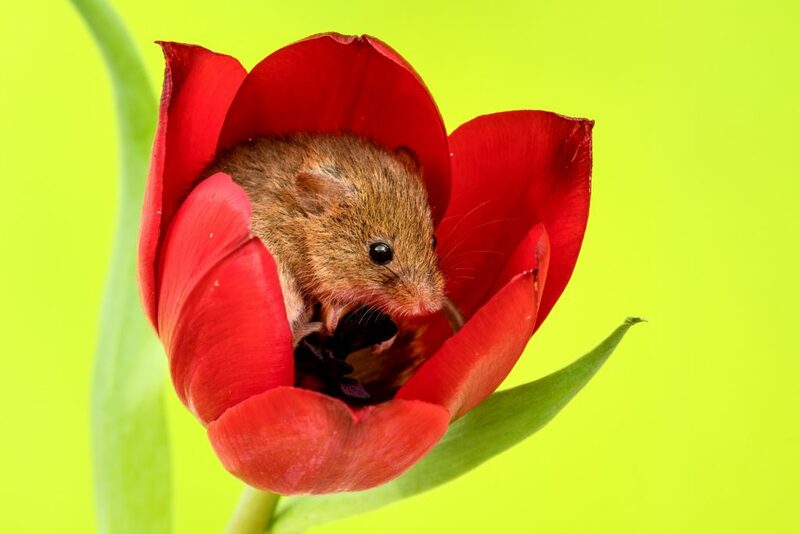 These tulips are giving new meaning to the term ‘flower beds’ – as tiny harvest mice curl up inside them. 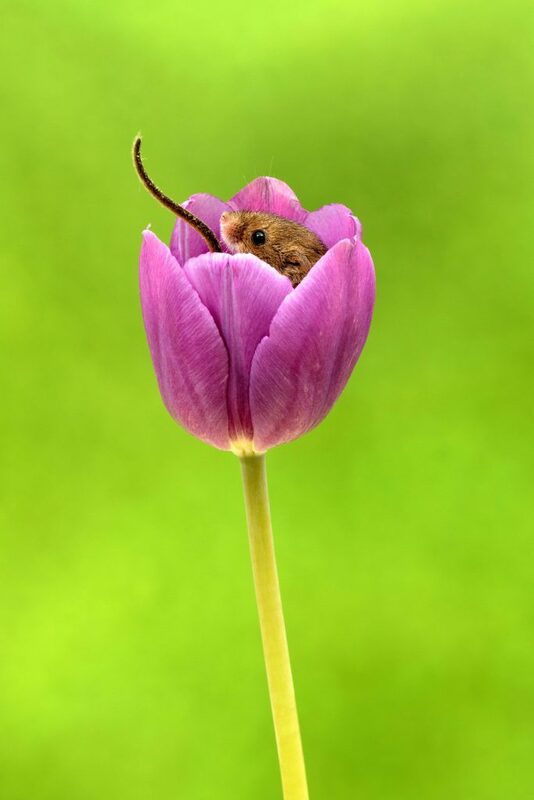 Despite appearing fragile, the colourful flowers have enough strength to support their tiny guests as they run up the stems and curl up amongst the petals. 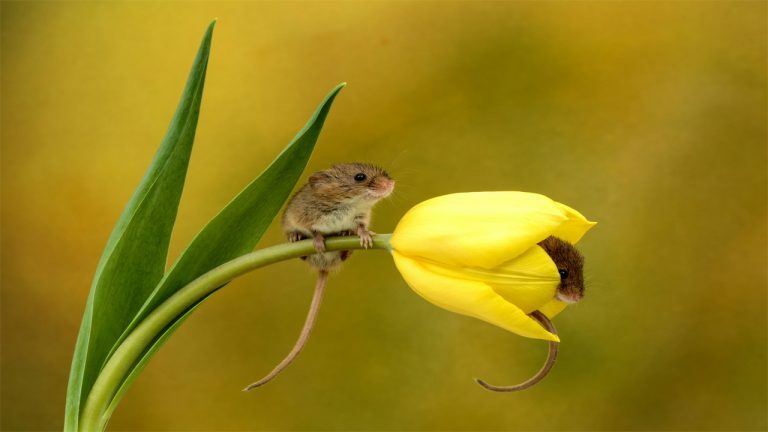 The harvest mice were spotted by 52-year-old photographer Miles Herbert in Ringwood, Hampshire. 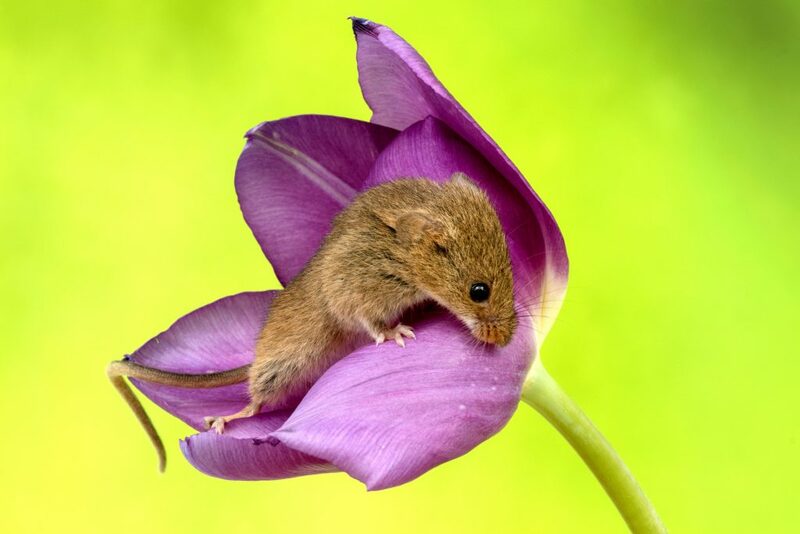 Miles said: “The mice love the smell of the pollen and climb inside the flowers to eat the stamens, often falling asleep inside the flower. 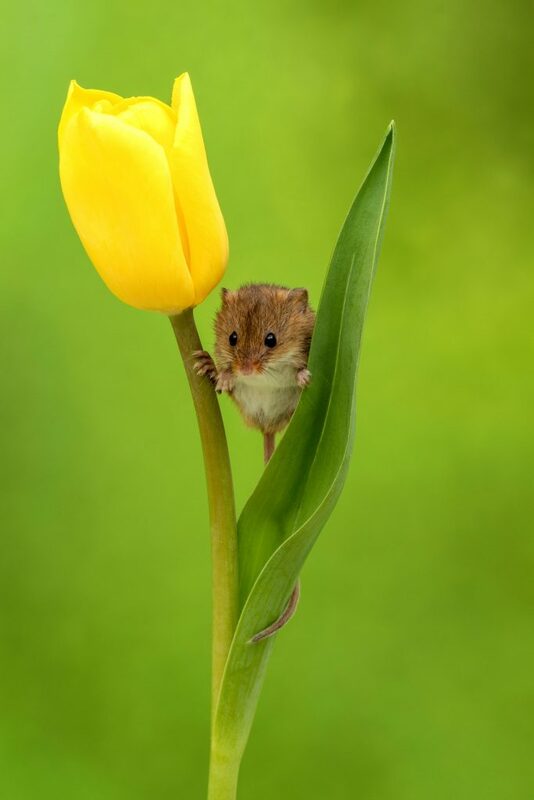 “It was great fun taking the photographs and I was really pleased when I was reviewing them.